At Brother, we offer a number of products and solutions with cutting-edge mobile device and web-based features that make it easy for users to connect, print and share important information virtually anytime, anywhere – quickly, easily and securely. 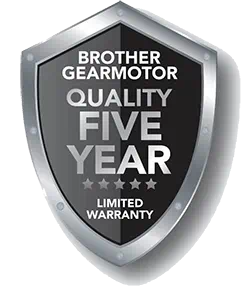 Learn more about Brother Mobility Solutions. Today’s office requires flexible solutions for connectivity and management. Brother offers a comprehensive line of wired and wireless network products to meet those needs. 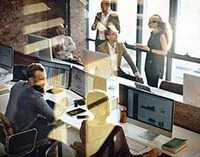 Allowing users to share printers and all-in-ones over the office network increases productivity while maximizing desk space and helping to reduce costs. Superior solutions offer the level of control, flexibility and security needed in today’s demanding office environment. Brother Cloud Apps is a free suite of innovative, cloud-based applications accessed directly from compatible, Internet-connected Brother devices that allow you to capture and convert information directly from your machine – without using a computer. Additional services and features are also included. Near Field Communication (NFC)2 establishes a direct connection between a NFC-enabled smartphone or tablet and device so users can print or scan without a network connection. Print directly from your device on most Brother models without a wireless access point using Wi-Fi Direct®. 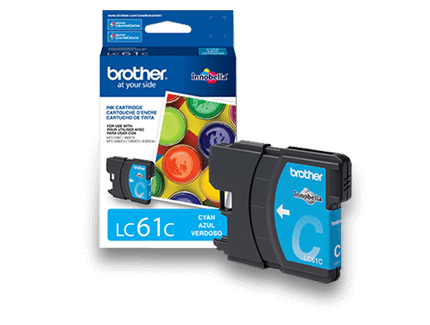 With the Brother iPrint&Scan app, wirelessly print from and scan to your Apple or Android device. Also on select models, preview copies, send/receive faxes, and check on your machine's status using the Brother iPrint&Scan app1. From mobile and industrial labeling to receipt printing, Brother Mobile Solutions offers complete mobile and desktop printing solutions to address unique business challenges across a vast range of vertical market segments. 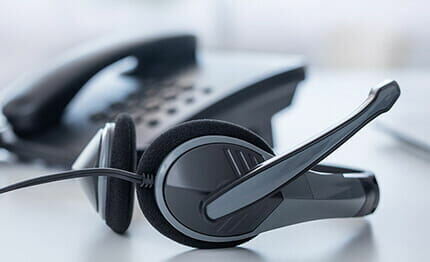 Software and hardware customizations, integration and implementation troubleshooting, and expert technical support help ensure your mobile business needs are met. All trademarks and registered trademarks referenced herein are the property of their respective companies. Apple, AirPrint, iPad, iPhone, iPod Touch are registered trademark of Apple Inc. EVERNOTE is a trademark of Evernote Corporation and used under a license. ©2015 Google Inc. All rights reserved. Android and Google Drive are trademarks of Google LLC. Mopria® is a registered trademark and service mark of Mopria Alliance, Inc. in the United States and other countries. Unauthorized use is strictly prohibited. Wi-Fi Direct is a registered trademark of Wi-Fi Alliance®.